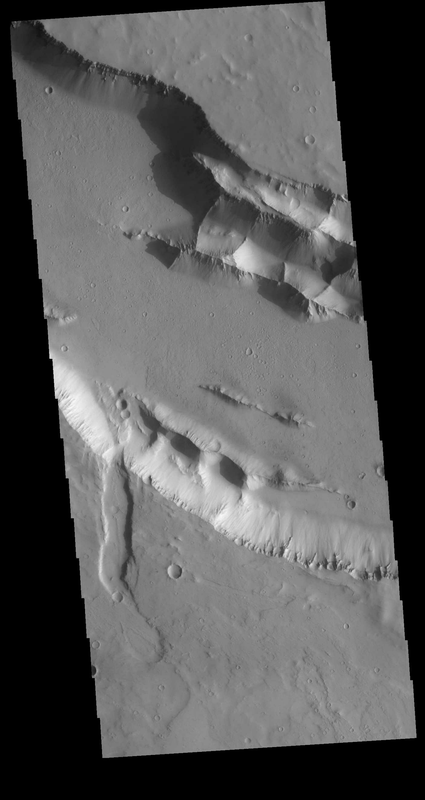 Today's VIS image shows part of one of the Elysium Fossae on the western flank of the Elysium volcanic complex. The fossae have both a tectonic and volcanic origin. The linear fractures, representing tectonic activity, are aligned southeast to northwest (the top of the image is north). The sinuous nature of the channel is due the flow of a liquid, most likely lava in this case.